Although on the market for a while - I see compatible products advertised everywhere. Looking for a quick simple way to automate your home without going overboard with technology? 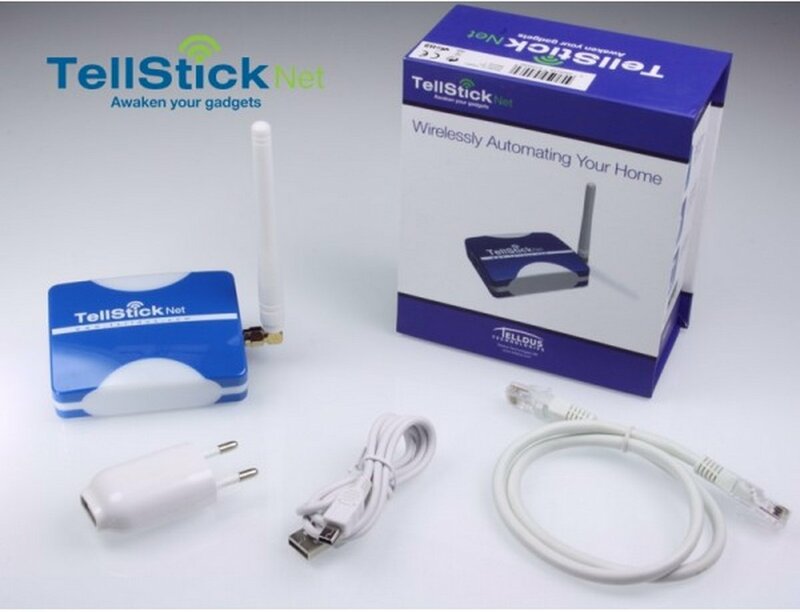 TellStick by Telldus Technologies may be your best option - they provide a USB-stick radio frequency transmitter that you can use from your computer to create a control center for all your electronics in your home. In addition; they also provide a cloud based solution so you can do the same from anywhere in the world from your mobile phone. While traditionally the initial components were adapters to basic power sockets that acted as a remote switch or dimmer; more and more items are being introduced either as sensor endpoints or electrical components to integrate into new projects. The adoption rate is quite high in the nordics with the company partnering with many of the local hobby and electronics stores like Teknik Magasinet and Kjell & Company making them accessible to all. The transmitters utilize the 433.92Mhz frequency band and the company not only provides their own management software to the end-user but they also provide an SDK that has created a number of third party applications - and the list is growing. The company was founded with humble beginnings by a small group of longtime friends with an burning interest for electronics, software and open source. While they may not be the big players in the market - I am quite impressed with how much traction they have obtained in the short time frame of their existence yet still maintained a basic philosophy about turning electricity on and off and keeping it simple.